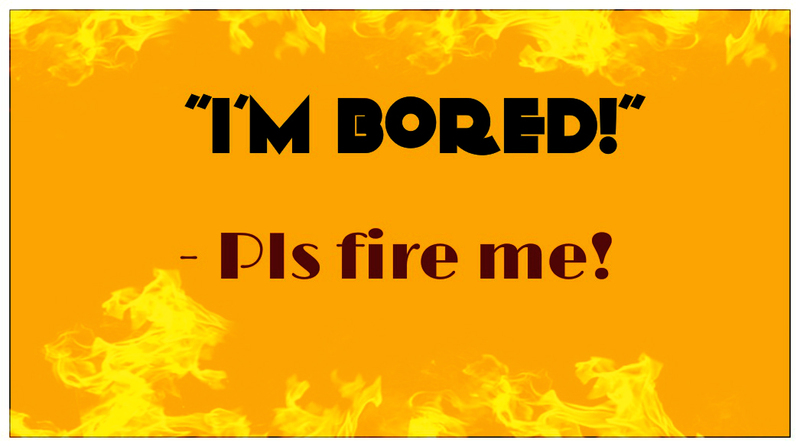 I’m bored – Pls fire me! With the news of Rory Cullinan’s (Head of Royal Bank of Scotland) sudden departure from the bank within weeks of his “I’m bored” photos going viral over the internet, I couldn’t help but think on what do we really think of ourselves and what do we base people upon? 1. Yes. I’m in a high paying job that’s necessary to bring more magic (= more money) to everybody. Does that mean I should never get bored occasionally and can never be true to my job at hand? 2. Being a human (wait! I haven’t become a Robot yet!) Can’t I just tell my daughter how I feel in a really boring board meeting? 3. Going too far in the race, have we even lost the basic human (common) sense? 4. Seriously! What’s really the big fuss about this? 7. Have we even lost the basic sense of just having fun? 8. Why are we so excited on shaming people? 9. Does the internet of things mean that every data is under public scrutinization and I can never ever have a private conversation with anybody without consulting my lawyer every time about it? I’m seriously bored of the melodrama all around! – Oops! I said it! Please fire me far far away from the Internet World!